As Donziger faces allegations of corruption from the multibillion-dollar corporation that his legal work threatens, those of us who stand with him in this community-based fight for corporate accountability involving farmers and indigenous peoples should demand to be heard. Donziger has certainly not been alone in pointing out that he has become subjected to probably the most well-financed corporate retaliation campaign in our history, backed by both Chevron and the U.S. Chamber of Commerce. Many people who have been closely following the lawsuit contend that Donziger is on the right side of justice. He bravely pushes on behalf of Amazonian people for a comprehensive remediation of one of the most toxic places on Earth—one which happens also to be one of the most biodiverse, though that status is now sorely threatened. The reality of the situation is that eight separate appellate judges, including Ecuador’s highest court, have affirmed the judgment against Chevron, while the oil giant uses about 60 law firms and 2,000 legal personnel to argue that it is “illegitimate” and “unenforceable.” If Chevron’s aim is to drown out the voices of the affected people by attacking their lawyers, I am convinced with Donziger and his many supporters that the strategy will sooner or later backfire. As an activist and anthropologist who has spent significant time in the Ecuadorian Amazon over the last 10 years, I am moved by the power of community and international solidarity to combat environmental injustice. Still, the world should pay better attention with a more critical eye to the dangerous corporate defense playbook today being used by Chevron. The appeal, which begins Monday, is itself only one piece of the ongoing 22-year legal saga over oil contamination in the Ecuadorean Amazon. So much has happened—and yet not enough—since the affected people first took their problem to courts in 1996. The lawsuit that they brought forward originally targeted Texaco, but has become the problem of Chevron since it acquired the Texas-based oil company ?in 2001. Fast-forward and what Donziger and two of his clients now challenge is Chevron’s claim that the lawsuit represents a vast, extortion conspiracy against the company. In a highly controversial March 2014 decision, U.S. Judge Lewis A. Kaplan supported Chevron’s allegations that Donziger orchestrated violations of the Racketeering and Corrupt Organizations Act (RICO)—leading some to purport that the Ecuadorean villagers are now blocked from collecting their judgment anywhere in the world (although their legal team is fiercely seeking enforcement in Canada and Brazil). That the decision came out of a trial absent a jury of impartial fact-finders and from a judge who denied Donziger and his clients any use of scientific evidence of the contamination in Ecuador deserves highlighting. These facts reflect how the debate has treacherously drifted away from the ongoing tragedy in the Ecuadorean Amazon. Pointing out that the original intent of the RICO Act was to curb mafia crime, many civil society groups—including the Sierra Club, Greenpeace USA, and Amazon Watch—contend that Kaplan’s ruling signifies a direct threat to our First Amendment rights to speak out and organize against human rights abuses. In this view, Chevron’s retaliation represents an attempt to not merely evade liability, but, moreover, to set a precedent by working to redefine grassroots-organizing as libelous and criminal. This RICO decision could make it much harder to challenge corporate abuses and human rights advocates have not been slow to rigorously fight it. But the threat of being hit with a lawsuit from Chevron has pushed many into submission and their worries are not completely unfounded. The company’s lawyers have gone after almost everyone who has supported the Ecuadorean plaintiffs. Even CBS yanked its 60 Minutes report on the lawsuit (which won an Edward R. Murrow Award for “Video Investigative Reporting”) after coming under pressure by Chevron’s lawyers. I myself was reminded of the general hesitancy to publish on this extremely important lawsuit related to the future of the Amazon when the environmental news outlet Grist dismissed my query for this article, stating that, “this is not a case we’ve been covering consistently.” Surely, as highly significant as this case is, it is now as highly terrifying to speak about it. There is much to be gleaned from Chevron’s corporate defense playbook from the lengthy appellate briefs filed by Donziger (represented by Deepak Gupta of the Gupta Beck law firm) and his clients (represented by Professor Burt Neuborne of the NYU School of Law). Beyond what it means for our First Amendment rights is the concern that Donziger’s lawyers share with the Ecuadorean government about what a U.S. judge declaring a decision of a foreign sovereign’s court “illegitimate” does for international relations. And one could certainly go over all the outstanding merits of how the appellants take to task nearly every one of Kaplan’s findings. There are always legal debates to wrestle with. In short, though, the RICO case represents a watershed moment for determining the legitimate parameters of human rights organizing, national sovereignty, and oil industry conduct. But back to what the RICO case has obscured: the contamination of the Amazon Rainforest and the sickening of the people who live there. According to numerous watchdog agencies and dozens of technical evidentiary reports submitted by both parties to the Ecuadorean court, Texaco avoided standard drilling practices for the pursuit of profit during its 28 years of operation in Ecuador between 1964-1992. Rather than re-injecting the difficult-to-refine crude back into the subsurface—as was then customary in the United States—Texaco was found by the courts of Ecuador to have dumped billions of gallons of oil production wastes (consisting of crude and added chemical mixtures) into pits, rivers, and streams that to this day leach deadly heavy metals and carcinogens, such as mercury, cadmium, and lead, throughout the region. Amazonian residents cite various peer-reviewed health evaluations demonstrating significantly higher rates of cancer, miscarriages, birth defects, and skin diseases, among a multitude of other health problems for those living in the region as evidence of them being poisoned. 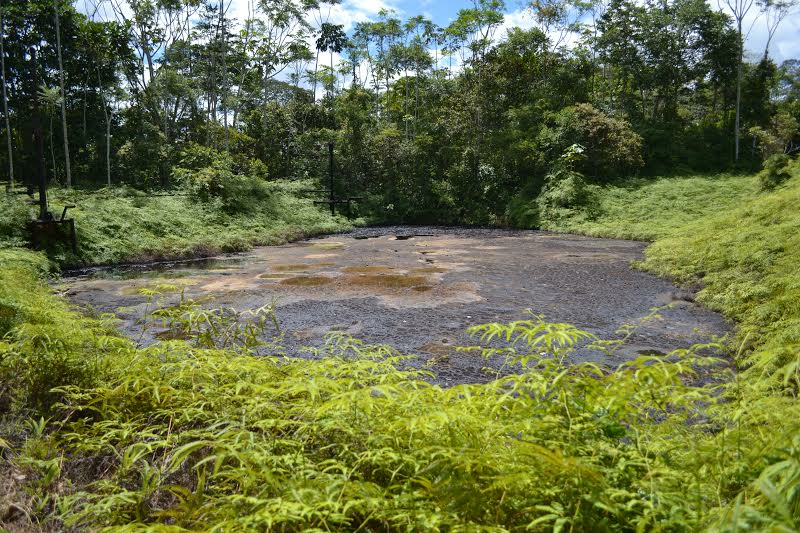 Those studies show that the health problems are even more acute for those living nearby the 300 or so oil well sites of the former Texaco concession of which PetroEcuador also had a hand in. For local residents who have witnessed the growth of the Amazonian oil industry over the last half-century, they are confident of it being the arrival of Texaco that marks the gradual destruction of their once clean land and water resources. The fact that Texaco ominously renamed the burgeoning oil frontier town of its Amazonian heyday to Sour Lake (Lago Agrio in Spanish) as homage to its corporate birthplace in Texas has not helped to alter that widely held view. However, ?this is all to say nothing of the deforestation and habitat loss accompanying that juncture in time, which surely amplifies experiences of cultural loss and personal, emotional trauma that are never fully describable by words. However, after Donziger and a team of local Ecuadorean lawyers (led by Pablo Fajardo, Juan Pablo Saenz, and Julio Prieto) helped the affected communities make that momentous 2011 court victory, Chevron struck back with accusations that the win rested on fabricated grounds. Note, interestingly enough, that Saenz has testified that the judgment was handed down despite Chevron making threats against the trial judge. Furthermore, newly leaked video footage by a Chevron whistleblower makes a strong case in affirmation of another one of Saenz’s claims—that the company tried to cover up oil waste that had saturated its former well sites in the South American country. These videos suggest that fabrication was not coming from the plaintiffs, but rather from Chevron, the party pointing the finger. While Chevron’s retaliation campaign nonetheless forced Donziger to defend the case in a U.S. court, internal emails made public through the RICO proceedings showed that in 2009 public relations experts at Hill + Knowlton presented to Chevron a strategic plan to “demonize Donziger” (“Demonize Donziger” pdf). But according to CSRwire , Chevron had so little confidence in its evidence against Donziger that Chevron dropped all damages claims against him on the eve of the RICO trial in order to avoid a jury. Judge Kaplan, who was to solely decide the verdict, steered the court away from hearing any of the scientific evidence that had founded the Ecuadorean decision, as mentioned before. What he allowed instead was witness testimony from former Ecuadorean judge Alberto Guerra who himself admitted to engaging in corrupt practices when he was on the bench. Guerra testified—after 53 days of preparation by Chevron’s lawyers, according to Donziger—that the local lawyers “bribed” the trial judge Nicolas Zambrano to rule in their favor. Donziger and Zambrano have both denied that accusation under oath and Donziger additionally testified that he and Zambrano have never even met. Moreover, Chevron’s accusation that Zambrano’s ruling was ghostwritten by the plaintiffs appears completely undermined by a new forensic analysis presented recently to an investor arbitration panel. That Guerra and his entire extended family now live in Northern California on Chevron’s dime—what some have called a “corporate protection plan”—again raises serious doubts about the validity of the accusations. 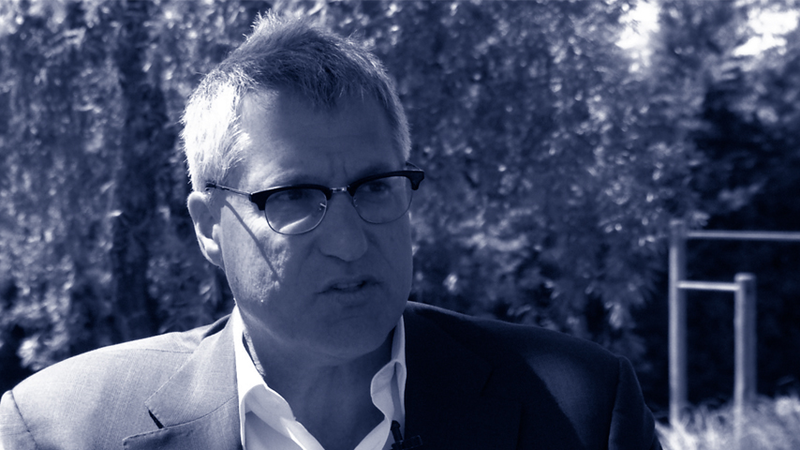 Steven Donziger first saw the oil contamination as a young law student years ago. Despite Chevron calling his legal success in the Ecuador judgment “fraudulent,” Donziger continues to risk the privilege his life has been blessed with in order to use it toward guaranteeing to more people the chance of a bright and healthy future. Chevron’s strong-arm, if not dubious legal ploys against Donziger may be something to expect more and more from other large corporations looking to evade accountability for environmental and human rights abuses. (Alabama-based Drummond coal company, for example, just last month filed a RICO suit against Colombian plaintiffs’ attorneys to undermine testimonies that the coal company had collaborated with Colombian paramilitary forces in the murder of civilians.) The only surprising part of this scenario is that many folks who would otherwise be celebrating the victory of the Amazon villagers over one of the most powerful oil corporations in the world have remained silent. They justify their lack of solidarity today on grounds of the corrupt tactics supposedly used by Donziger in the case … a claim that might as well be cooked up by a PR campaign by Chevron. Beyond Chevron’s own public relations campaigning, a recent review of the lawsuit by Bloomberg Businessweek journalist Paul Barrett, promoting information which Donziger has labeled “false” and “defamatory” and providing very little content on the Ecuadorean proceedings themselves, has unfortunately boosted the Chevron narrative, proliferating not just among oil industry sympathizers, but, more alarmingly, among its usual dissenters. Where we might expect to find solidarity with the intrepid lawyer, instead we hear a twisted kind of outrage that it is “Donziger’s outsized ambitions”—not the party sued for polluting —to blame for the festering toxic waste site that most acknowledge is condemning tens of thousands of Ecuadoreans to a daily fight for survival. But, the fact is that Donziger is one of the few people willing to take the personal risk to help those harmed go after a large oil company that has declared it will not just “fight [the lawsuit] until hell freezes over” but then also “fight it out on the ice.” Donziger himself has spoken out against being spied on and followed by Chevron both in New York City where he lives and in Ecuador—an allegation that Barrett states in his book “Law of the Jungle” was not denied by a company spokesperson when asked. Donziger’s steadfastness has something to do with the fact that thus far the villagers have refused to settle the matter for anything other than the full amount of the judgment. It is worth noting that the $9.6 billion liability charged to Chevron is modest compared to the $30 billion that BP will likely payout in full for its Deepwater Horizon spill. 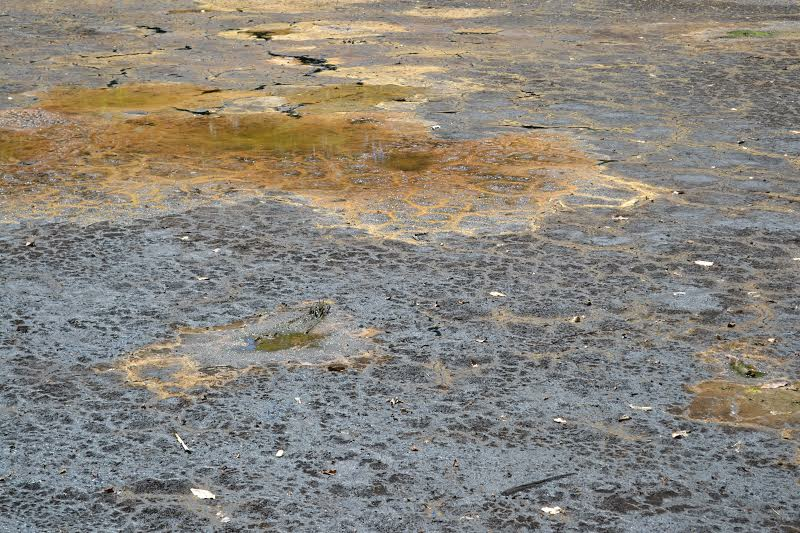 Whereas the disaster in Ecuador regards an estimated 18.5 billion gallons of intentionally dumped oil wastes, the latter in the Gulf of Mexico is calculated to have released oil into the ocean at around a few hundred million gallons. The commitment of the Ecuadoreans and their lawyers no doubt helps the battle against corporate impunity across the globe. None of this stands to support the misguided ?narrative repeated by some in the mainstream media that behind this seemingly noble legal project is a lust by lawyers for pocketing a magnificent payout. More honestly, the dramatic repercussions clinging to Donziger’s continued dedication to the case speaks to the very real threat it poses to foundations of unchecked corporate power. The clear victory already made in court by the Ecuadorean villagers certainly gives good reason for even the most powerful of multinational corporations to be startled. Its enforcement could well create a model for empowering marginalized communities to hold corporations accountable, not just in Ecuador, but anywhere that abuses are seen to take place. That’s why, according to many of Donziger’s supporters, Chevron’s allies in the corporate-financed business community—including the U.S. Chamber of Commerce and the National Association of Manufacturers—have joined the battle to try to block the judgment’s enforcement. For all parties involved, the outcome of this case has far reaching consequences. For Chevron and other large corporations, it could challenge their business operations all over the world. For the Ecuadorean legal team and their advocates, it has become nothing less than a battle over the notion of corporate accountability. For the affected people, it has clear, tangible implications for their very fight for survival and hopes for a better future. My intention has not been to paint Donziger as some sort of shining “White Knight,” which he himself has said in sworn testimony is not true. And I have labored to avoid making arguments within the law as that is always a highly contested space. Rather, what I merely wish to do is point out that there is a double standard being propagated by Chevron that doesn’t look good for the future of human rights and environmental advocacy. Chevron and its army of lawyers have leveled accusations of fraud and libel at nearly every party that they have deemed “conspirators” with the Ecuadorean plaintiffs. Questioning the legitimacy of the Ecuadorean court system, Chevron has forced the Ecuadorian government before a private arbitration tribunal. Never mind that during the 1990s the corporation filed 14 sworn affidavits pushing for the case to be tried in Ecuador. However, after receiving a judgment that wasn’t in favor of the company, Chevron is now seeking home country advantage back in New York. 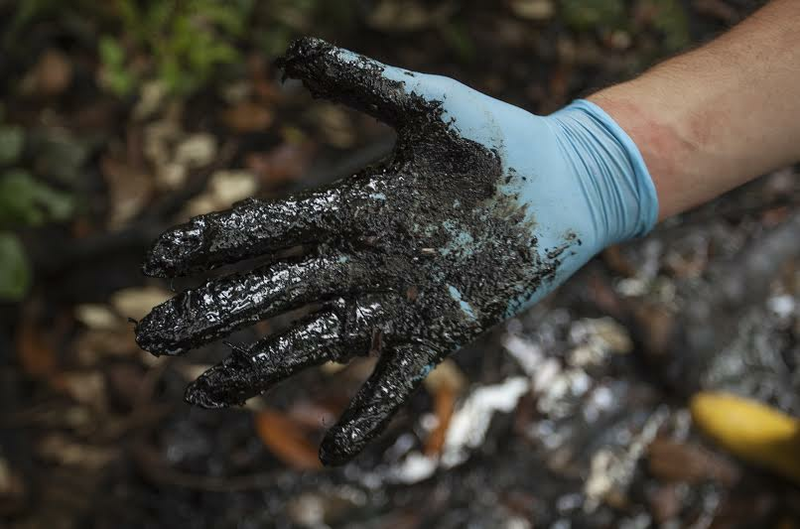 Additionally, Chevron has targeted the funders of the plaintiffs’ legal team, an environmental firm that conducted testing for the case, and journalists, activists, and nonprofit organizations who engaged with it. Even Chevron’s own shareholders who voiced concern about the Board of Directors’ scorched-earth strategies were met with the threat of legal action for, as shareholder activist Simon Billenness has narrated it, a similarly perceived insolence in, well doing their job. Is it also overwhelming for the judges, we might wonder, when Chevron puts forward so many counter-suits (having filed at one time more than 39 motion in less than one hour)? Perhaps the gravest consequence of the RICO case zeroing in on the actions of one individual is that it has slicked over what is really at stake here—the health and vitality of the Amazon Rainforest and the people who live there. 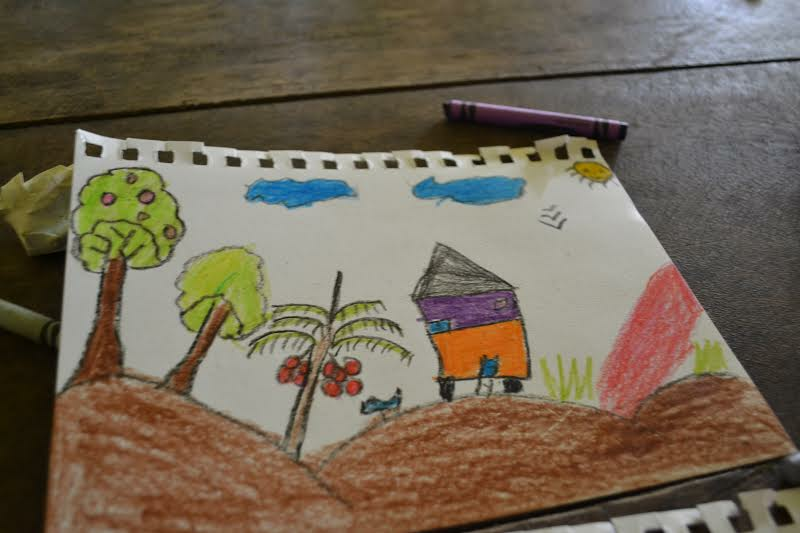 To the extent that Chevron has been able to paint itself as the real victim, it distracts people from focusing on the ongoing human tragedy in Ecuador and the profound differences in power between those involved. The stories of families dealing with illnesses, the loss of loved ones, and damages to farms, which two recent books powerfully document (one by Ecuadorean writer and activist Luis Yanza and the other by photojournalist Lou Dematteis ) are left by the wayside. It bears repeating that this all has the potential to set a dangerous precedent whereby corporations could gain the great opportunity to reframe grassroots-organizing against human rights abuses as criminal activities on par with traditional interpretations of racketeering, libel and fraud. Likewise, it could open new possibilities for powerful corporations to deny the sovereignty of nations and their judicial systems by finding all sorts of creative ways to move their cases to different legal arenas until a judgment is made in their favor. 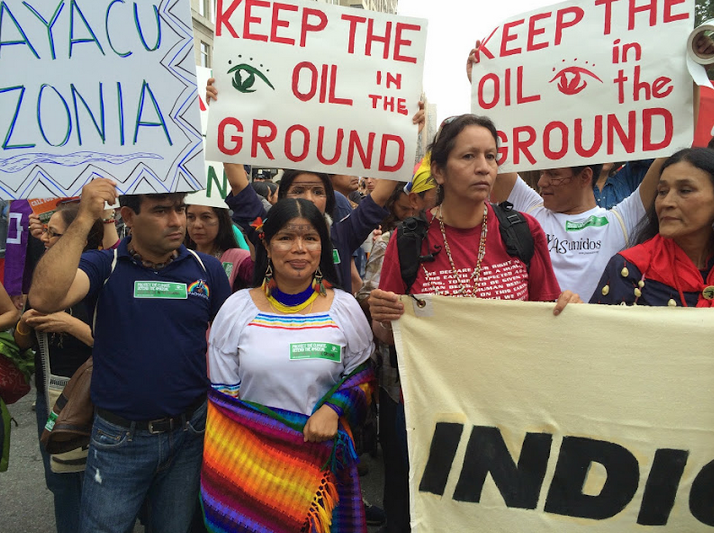 In Donziger’s words, Chevron’s model of perpetual litigation is a jurisdictional shell game. With the five-year anniversary of BP’s Deepwater Horizon spill marking the opening of this very important appeal, we would do well to reflect on how oil—our dependency on it and the serious monied interests that foster that dependency—infiltrates our abilities to assess damages and accountability in these kinds of disasters. For beneath the ugly accusations and ruthless tactics swirling around the Chevron-Ecuador proceedings is the double-victimization of the affected people who are not only left waiting for compensation in order to begin the cleanup, but also made suspect that their fight has been one instigated by deception. While the U.S. Court of Appeals for the Second Circuit assesses whether Judge Kaplan’s unprecedented decision will stand, the affected people are rightly pursuing Chevron’s assets to ensure compliance in Canada and Brazil. This is surely a topic to come up at the United Nations Permanent Forum on Indigenous Issues, which also opens in New York on April 20 (click here for full schedule). Many are energetically mobilized and they should be commended for their achievement of maintaining their fight in the face of 22 long years of litigation. With the plaintiffs growing sicker, their supporters certainly should be picking up steam, but unfortunately many contend with fear and exhaustion—an expected outcome from Chevron’s legal strategy. In a society fascinated with mafia stories, we now have a real confusion over what constitutes organized crime thanks to Chevron’s counterattacks and the silence among dissenters that they’ve managed to inculcate. This is evident by how many observers and journalists have gotten mired in an unnecessary debate that has taken us far from the issue of contamination and its impact on the people in the Amazon rainforest. Many have fallen silent, but many others have pushed through Chevron’s intimidation tactics in order to take a stand against what they see as organized crime coming from the corporation, not from the villagers and the lawyers. I for one am standing with the affected communities and their legal team, and I hope you will too. Lindsay Ofrias is an anthropology PhD student and Lassen Fellow at Princeton University studying conflicts related to fossil fuel extraction in the U.S., Ecuador, and Brazil. She has experience as a multi-media correspondent based in Ecuador and has given talks on her work at numerous conferences.